How April became the Pop Star of Equity Returns! April has arrived. Hence, spring is in the air. Well, if you live in the Northern Hemisphere, that is. Apart from bringing more pleasant weather, April also tends to be very friendly to equity investors. In fact, in recent years April has become the pop star of equity returns. Let me show this in four simple charts. First, April equity returns have always ranked among the top in the Post-World War II era. 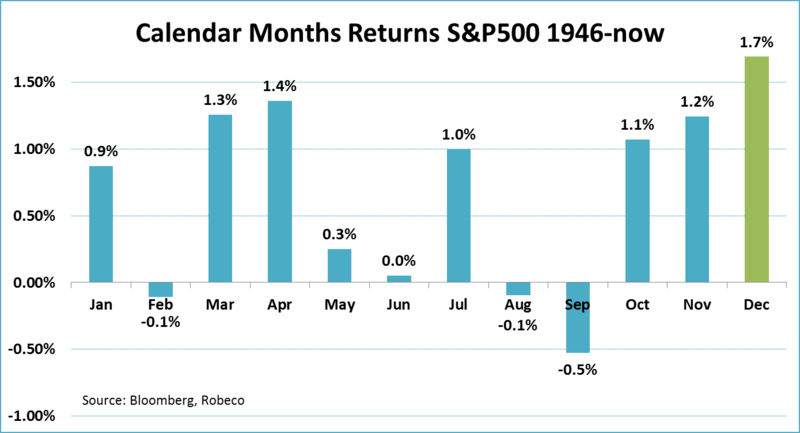 Starting in 1946, April’s average return ranks second, heading a group of four months (March, April, October and November) that trail December. 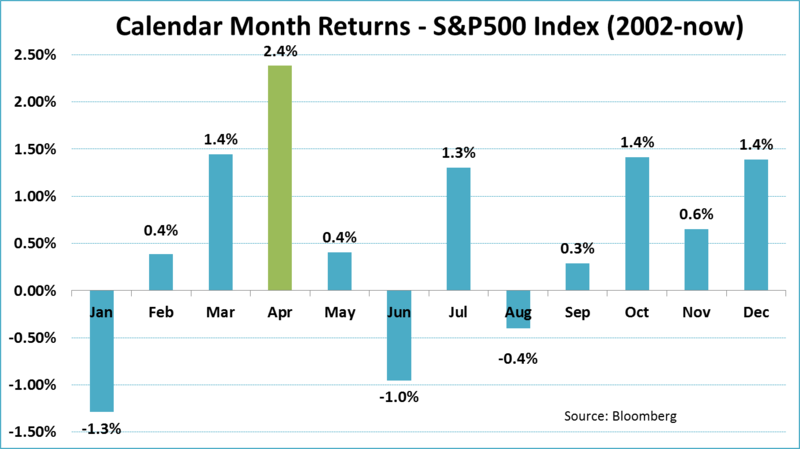 April marks the end of the well-known ‘Sell in May’ pattern, which reveals that most of the total return on equities is realized between November – April, and almost none is realized between May – October. (More on Sell in May here). 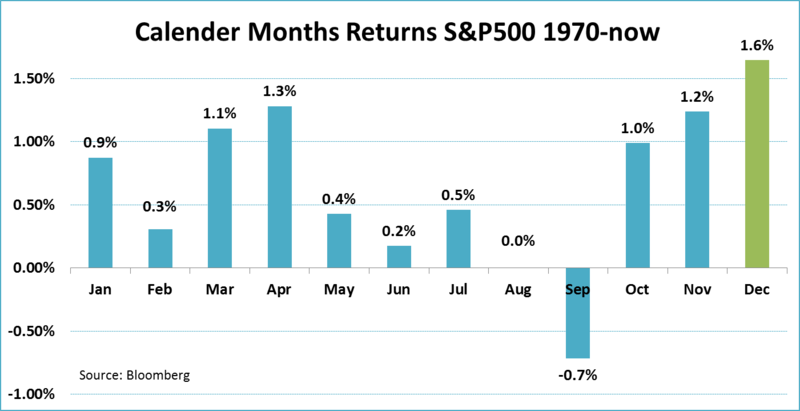 As many things evolve over time, so could, of course, monthly return patterns. However, the second graph shows that calculating average returns from 1970, instead of 1946, yields very similar results. December offers the biggest monthly return, followed by April, which, again, leads the a group of four months with similar average returns. But if I reduce the historical window even further, now starting in 1991, things start to look a bit different. 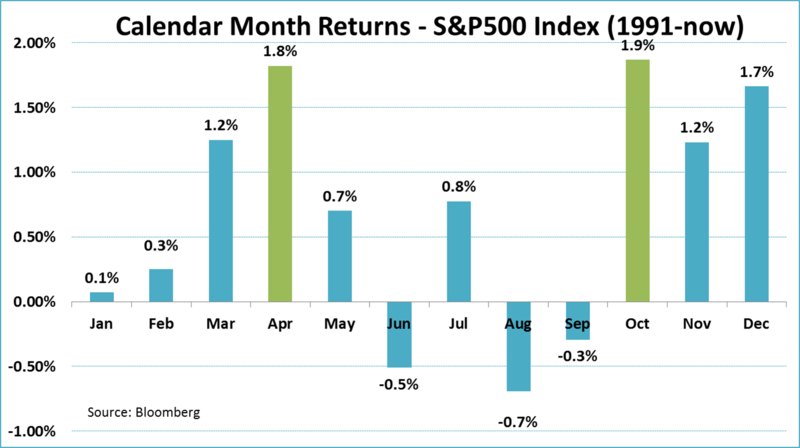 October has replaced December at the top of the leaderboard, offering investors the best monthly return. April, however, also passes December and remains second. Please note that the gap between April and the top month is now far less outspoken than in the previous two graphs. April is gaining ground! Finally, April becomes the absolute return winner in the most recent period. Since 2002 April generates an average return of 2.4%. That is a full percentage point higher than any other month during this period. That 2.4% is also the highest average monthly return displayed in all four graphs. Moreover, from 1970s onwards, April’s average return has persistently gone up. Now, this is also the case for July and September, but to a (much) lesser extent. So, what could be behind April’s rise to stardom in recent years? One possible explanation, that is often cited, is that investor mood improves as spring arrives. But, as mentioned above this argument only holds for investors in the Northern hemisphere. Second, spring always arrives in April, so why would the return pattern change over time? I think it’s a bit premature to blame global warming, right? Another explanation could be the increased media attention surrounding Sell in May. More media attention translates to more outspoken returns. While this sounds plausible, you would expect the same thing to happen for other months as well. But this is not the case. For example, the returns of November and January, which are also part of the ‘good’ season for equities, have gone down over time. Also, there is some evidence that, precisely because the media is focusing more on the Sell in May, investors anticipate by selling stocks well before May starts. No good explanation then? Well, there is one development, I think could help explain how April became the pop star of returns. In recent decades investors are increasingly preoccupied with quarterly earnings numbers. Media focus on quarterly company performance has increased a 1000 times more than on Sell in May . As a result the fear for investor retribution after reporting below expectations has grown massively, in my opinion.This short-term (herding) behavior of investors may provoke companies to issue cautious forward guidance that is ‘easy’ to beat. In addition to this, research shows that reporting earnings, no matter if they are good or bad, reduces risk. Just the fact the investors get an update from the company reduces uncertainty, which is reflected in the stock price. And since April is the first reporting month of the year it could benefit most from this risk reduction. This reasoning would also explain why two other reporting months, July and October, are also among the winners in the most recent period. The demise of January, however, conflicts this theory. But, for January, being the first month of the year, other effects (window dressing, annual money flows, annual positioning) could be at work.